Students, staff, community members invited from the Campus Arboretum Advisory Board, members of UA Grounds Services, arboretum undergraduate student interns, and adult arboretum tour guides gathered early on a pristine, clear, and cool Sunday morning at the historic Joseph Wood Krutch Garden in the center of the University of Arizona campus mall. The Joseph Wood Krutch garden is named after the famous writer and naturalist. 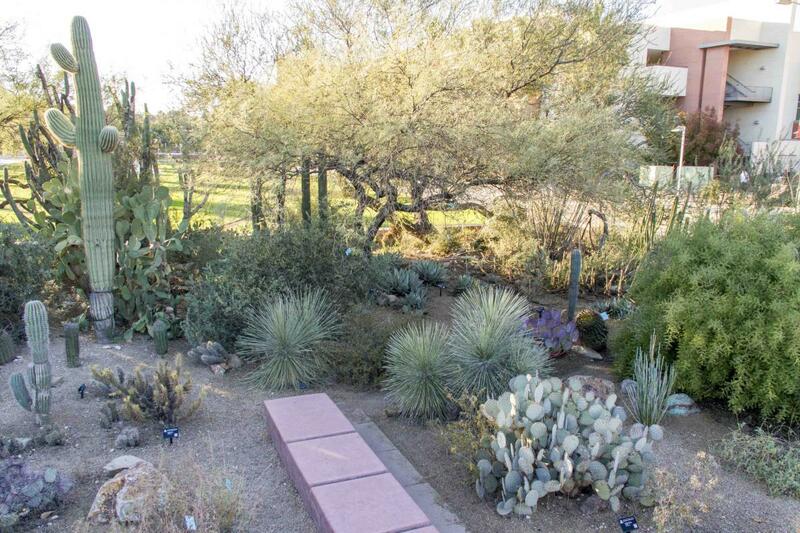 This desert garden represents characteristics of resilience, grace and beauty in response to stress that Dr. Krutch used to describe the desert in many of his books. The garden is one of the oldest, continually maintained gardens of this type, as it began on the University of Arizona campus in 1891 as an educational display garden, planted by Professor James Toumey west of Old Main. It was relocated to the east, expanded, contracted, and expanded again over the years until, in 1980, President John Schafer approved a request to name the garden in honor of Joseph Wood Krutch and perpetuate his legacy of encouraging the preservation of our natural environment in the midst of urbanization. It is now under the care of the Campus Arboretum and maintains more than 60 plant species. 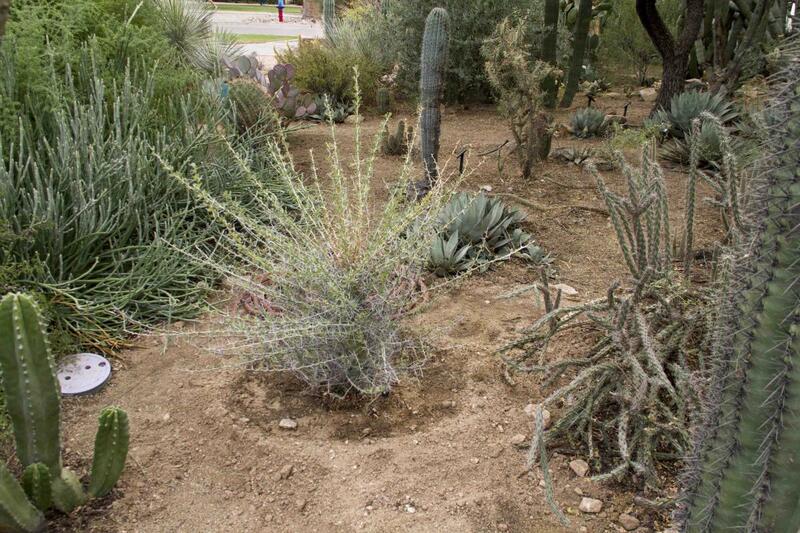 The garden is comprised almost entirely of Sonoran native plants. The garden aesthetic strikes a balance in maintaining the feel of a natural garden while also permitting appreciation for individual plant specimens. This is important to the educational role of the garden but also supports the health of the plants by providing community support and minimizing competition between plants. The garden was overgrown and inaccessible but reflected better our natural ideal by the end of the work day. See the BEFORE and AFTER PHOTOS below. Historically, the Krutch garden has boasted grand and unusual novel plants like the Fouquieria columnaris, or Boojum, planted by University President Homer Shantz in the 1920s. 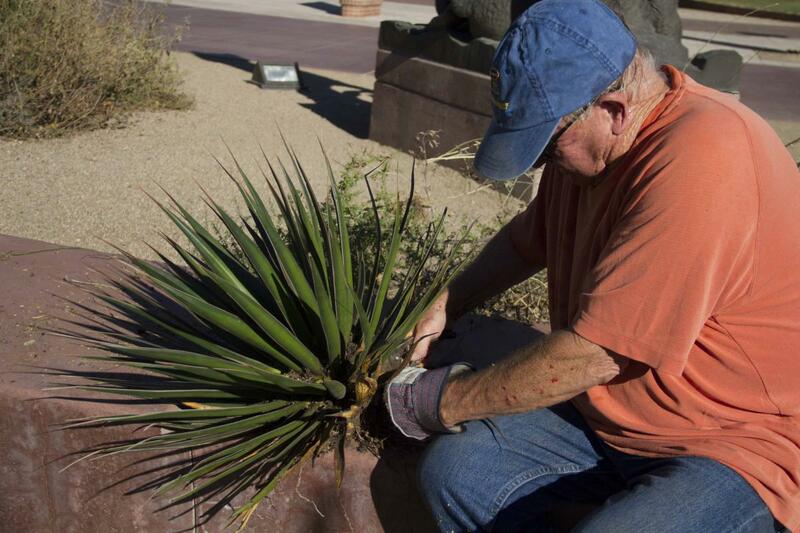 The last of the original Boojum died in 2014. 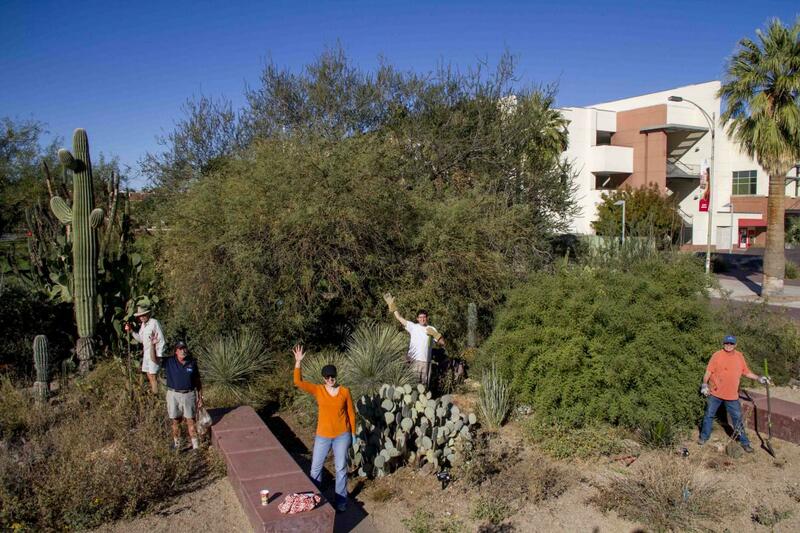 In 2015, the Campus Arboretum, with significant effort from Juan Barba and Associates and funded Dr. Richard Wiedhopf, obtained a wonderful large specimen that was shipped bare-root from California and installed in the garden late in the summer. The installation was followed by one of the wettest years in recent history.We believe that the wet summer, in combination with the damage likely done to the roots in transport, led to infection that ultimately killed the beautiful specimen in September 2016. With renewed hope, we planted a second large specimen after the Krutch Garden community clean-up effort in November 2016. This time however, we used a Boojum grown locally in a container and the planting was strategically planned for the onset of cooler weather. We hope the container will minimize root damage and that the moisture it receives in the cooler weather will better duplicate the conditions of its native Baja climate to reduce chances of root rot and infection. Special thanks to Bob Baker, long-time friend of the Campus Arboretum who donated the containerized plant. Additional thanks to Woodford Remencus and others in UA Grounds Services for their support with the donation and installation.